This recipe was based on how my mom used to cook fish at home, and it’s very simple, so I usually don’t measure the ingredients but I’ll try to guess how much I used. Boil the potatoes and carrots in salted water for about 10. You want them to be almost cooked, not falling apart. 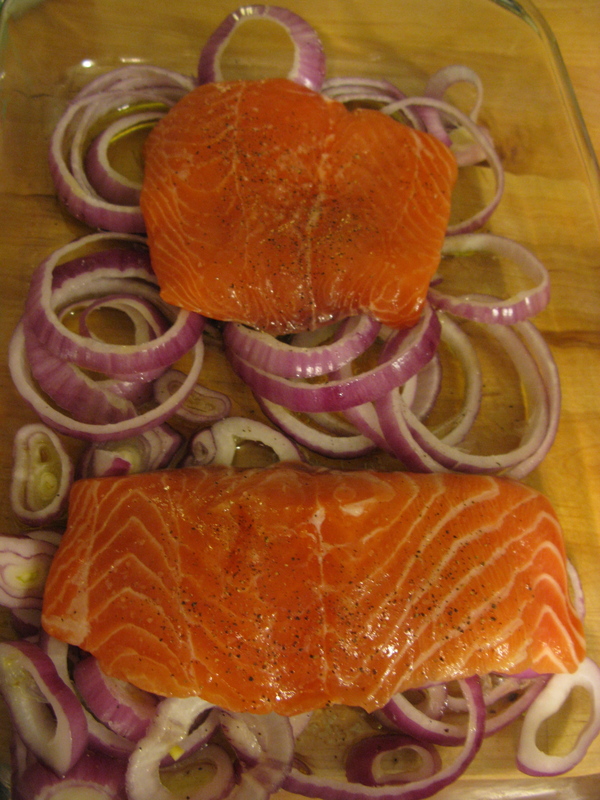 Cover the bottom of an oven safe pan with olive oil (about 1/4 cup) and spread the onion rings over it. Place the fish on top, season with salt and pepper and spread another 2 tbsp of olive oil on top. Bake at 400F (200ºC) for 10 min. The onions should be a little softer by then. 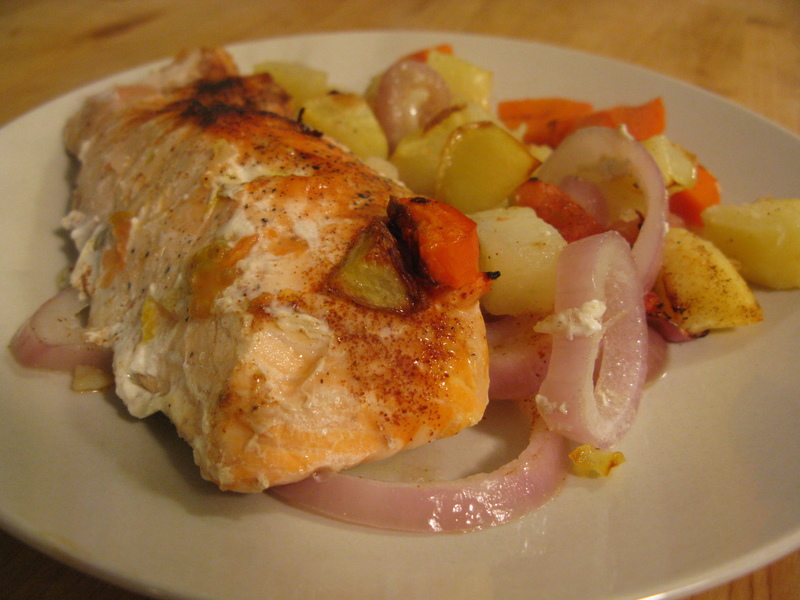 Add the potatoes and carrots around the fish, but not covering it. Spread the paprika and the remaining 2 tbsp of olive oil over everything and bake for 10 more min or until the fish is cooked all the way. Finally, use the broiler to roast the top and add a bit of crunch to the potatoes. It took about 5 min in my oven. Serve and enjoy!